Our charter is to provide a resource for students, faculty and staff at the University of Michigan to learn about and develop embedded systems. The Michigan Embedded Systems' Hub is a shared resource available to all UM undergraduate and graduate students, staff and faculty. We have the resources needed to do basic embedded systems work and also offer a variety of training sessions related to embedded systems (PCB design, soldering, and microcontroller basics). The space is open for all undergraduates and graduates to use whenever the doors are open, or during official activites. Please stop by and come on in! 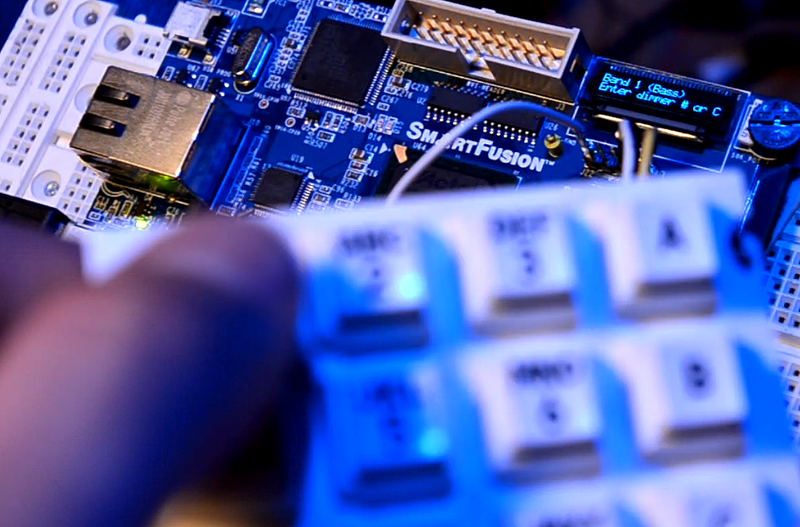 The Hub also hosts short-term faculty-sponsored projects related to embedded systems. If you are a faculty member and need short-term space for student embedded systems projects (one semester or less) we might be able to help! Interested faculty members should contact Mark Brehob with any questions. The Hub gratefully acknowledges sponsorship by State Farm, Intel, Lockheed-Martin and the EECS department.